Looking for an Illustrator or creative graphic artist to design a mascot for our Property Development company. The business is called Floripa Construções and we will be building 4-5 apartment blocks for people buying their first home. 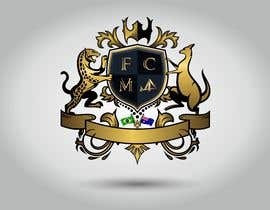 There are 2 Australian and 2 Brazilian owners and we would like a mascot to represent our dual nationality. I am looking for something innovative and cool, whether that be a person, animal or object that we can add to our branding on the website, which is currently being designed. We are also open to the idea of a crest that we can include at the bottom of the website that incorporates a lot of symbolism for both our cultures. I was just Googling crests and Queen's (the Band) came up, so rock n roll, this would be an amazing concept as we are a young, innovative team hoping to change the face of the city. Think Brazil and Australia plus property construction. I’ve attached our logo and an image of the apartments we are building. Hi I'm going to finish can You provide an example. Do you want a crests?. Hello, it is important that you give feedback to know that you like, with so little information it is difficult to make an accurate design. Please give more details. I want to do a good job. can there be an animal connection to the mascott? Yes, I am open to all ideas! Hi there, I'm working on Your Design, I will submit wait for me.